Pork in banana leaf is one of the most common foods to be found in Yucatan. Slow cooked, falling-apart tender meat, with a tang of bitter orange, the earthiness of annatto, and an aroma of allspice. It’s like a Caribbean version of northern Mexican barbacoa, or Texan barbecue. 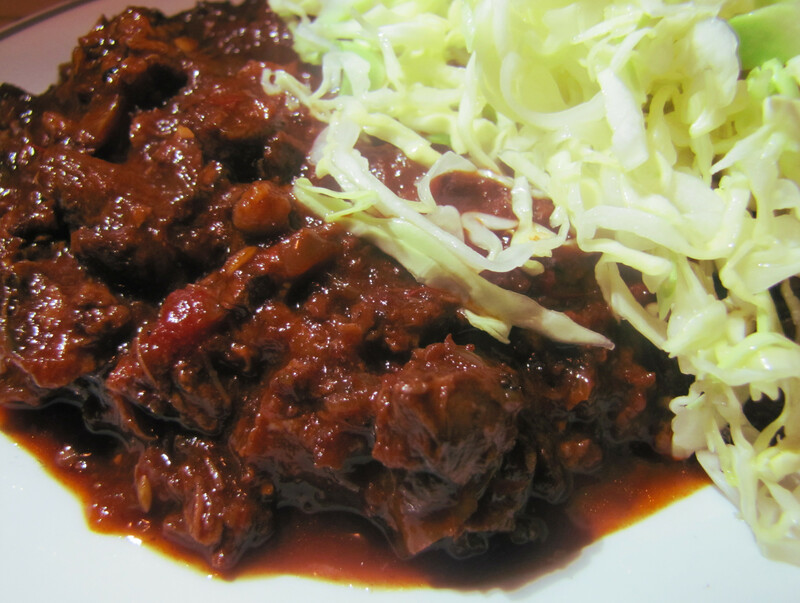 The brilliant red of the sauce looks alarmingly spicy, but in fact cochinita pibil is not hot at all. In itself. The spice comes with the blazingly hot habanero salsa you may or may not want to add. This makes great tacos, or salbutes, served simply with pickled onion and salsa. 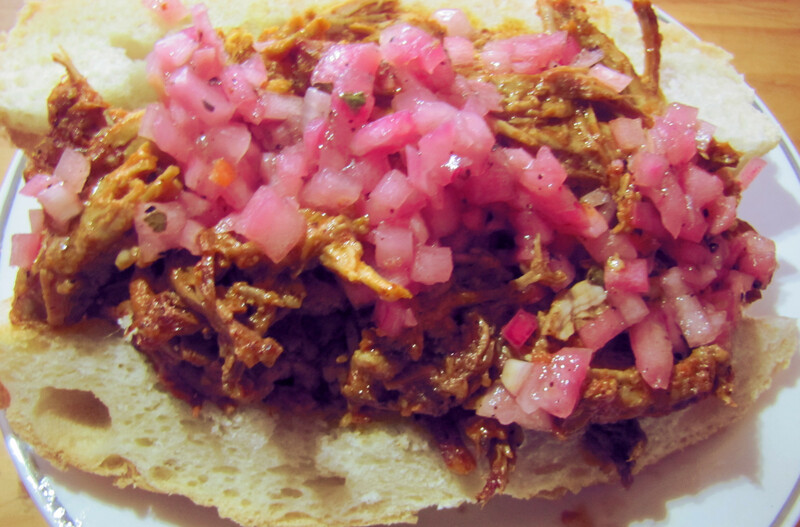 But cochinita pibil is even better as a torta (sandwich).